Blocking certain people in the Contacts from sending iMessages on Mac is finally now an option with the OS X Mavericks 10.9.2 update. Following are the steps for adding people from Contacts in the blocked list. To block an email address, it needs to be present in the Contacts. Click the** +** button on the bottom-left corner and the Contacts list will appear. Just select the contact you want to block. 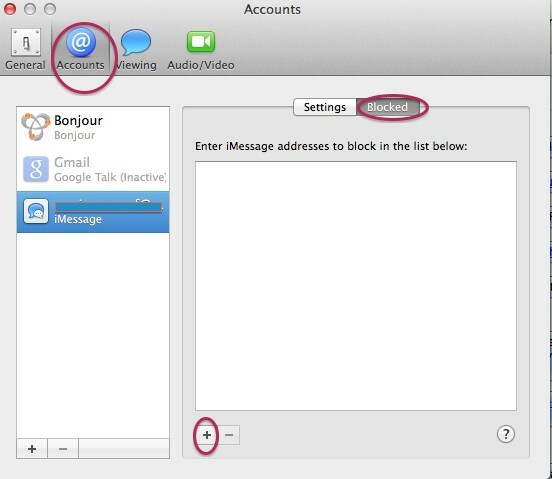 Any contact added to the blocked list can easily be removed later by clicking the - button instead of + in step 4.